Eastern International University (EIU) is a newly created university located in Binh Duong New City,Binh Duong Province, Vietnam, built by the State-owned Becamex IDC Corporation – the country’s largest infrastructure, industrial park developer and operator and a large conglomerate with over 30 related subsidiaries, has the mission of producing high-quality human resources to meet the country’s pressing needs. 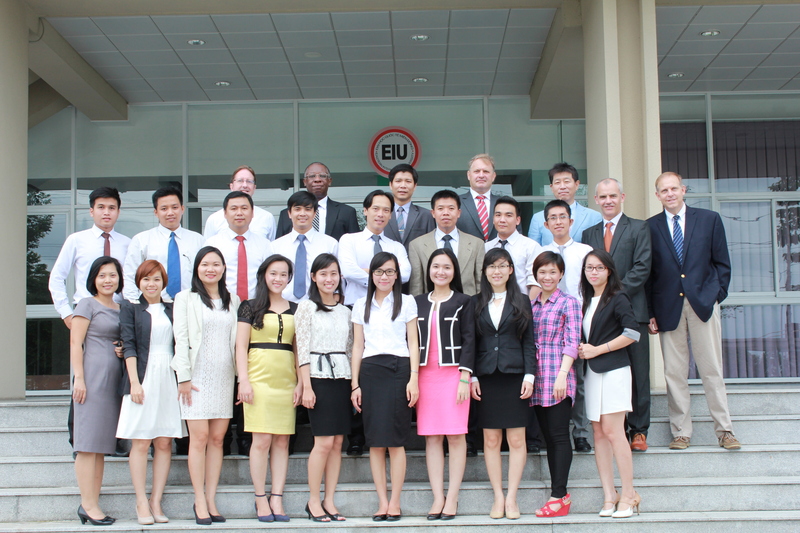 EIU is the first University in Vietnam which offers Supply Chain Management Program for undergraduate level. 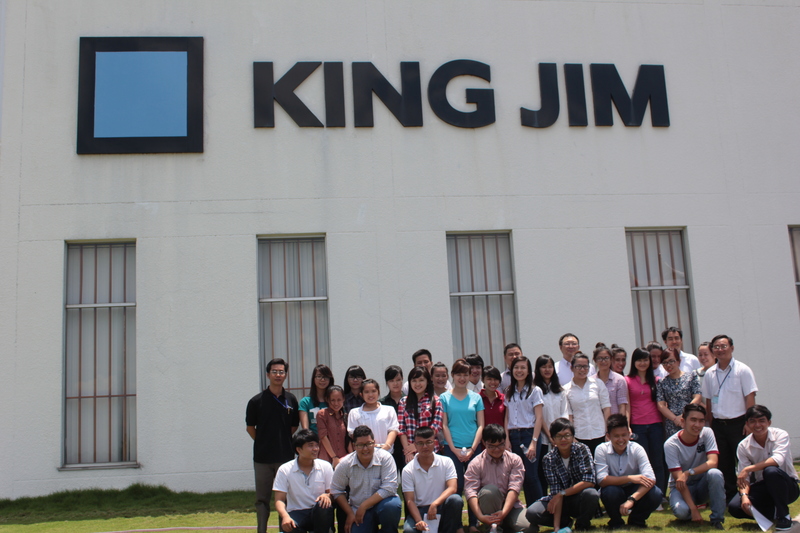 We identify the problems Vietnam is facing with quality of workforce and provide the best solutions. 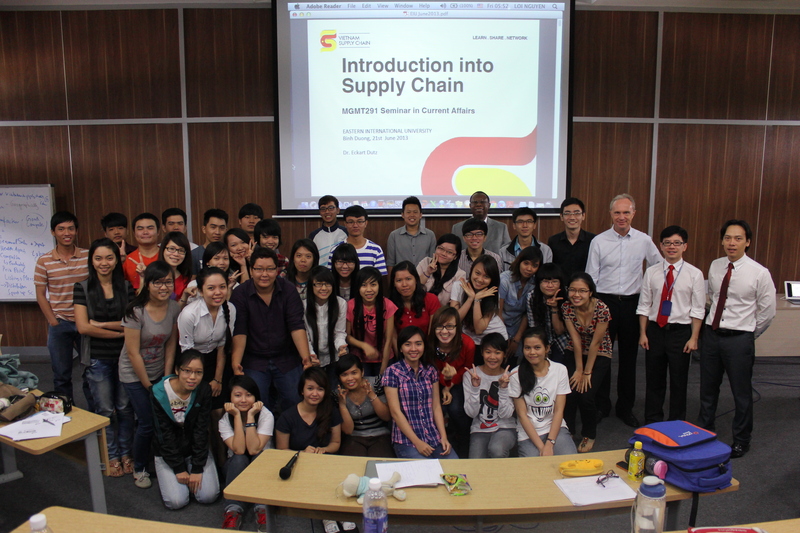 Our major supply chain management challenge in Vietnam is logistics cost. The logistics cost in Vietnam is around 25% of GDP. This creates an undue burden on businesses in Vietnam as we compete globally for FDI resources. In China and India, the logistics cost is around 15% and 13% respectively. In the USA, it is only 7.7% of GDP. This large gap is because of waste in the Vietnamese logistics processes and procedures. Another major issue is our supply base limitation. This limitation acts as a roadblock for companies in their efforts to meet the growing demand. The lack of skilled employees is a hindrance for business because it prevents companies from being established, or growing to meet marketplace demand. Information technology application is also a critical issue but there’s lack of Vietnamese businesses using IT to create competitive advantages and improve productivity. Vietnam must address these roadblocks to meet their long-term growth strategy. How can our community get to where we need to be to reach our strategic goals? Creating a different way of educating our students is required if we will meet the challenge. We must have students who know the academic material, but are flexible in their thinking so they can meet as yet unknown problems. Collaboration between the business communities, governmental organizations, professional associations and institutions of higher learning ensure strategic challenges are completed on time, within budget and at the standards that delight the customers. Eastern International University (EIU) is at the forefront of addressing our skill gap in employees that can meet the current and future challenges of business. EIU is addressing this skill gap by teaming with Portland State University, the Vietnam Supply Chain Association and ASPROVA Corporation. Through this collaboration we ensure we have the best understanding of what the business and governmental organizations must have for success. We hope this cooperation will create a community and let’s be the community that creates the movement leading to success – success for our future generations. We will present the latest version of Asprova APS as well as share many useful tips for production scheduling. Please visit us at METALTECH 2014. 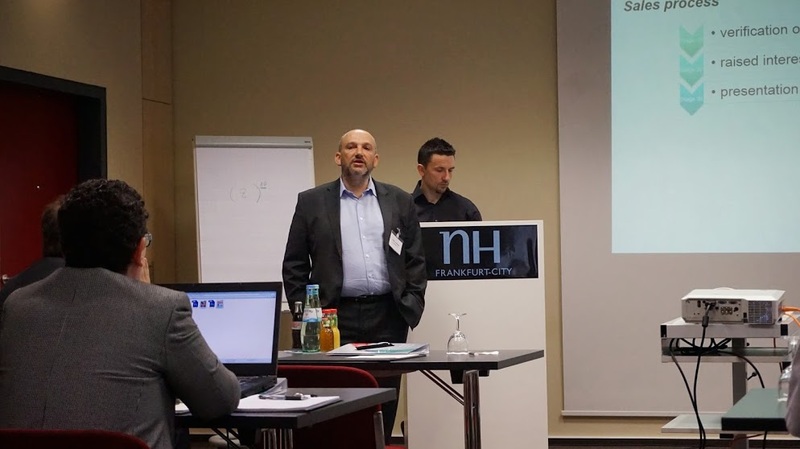 We recently held a Partner Conference in Frankfurt, Germany. 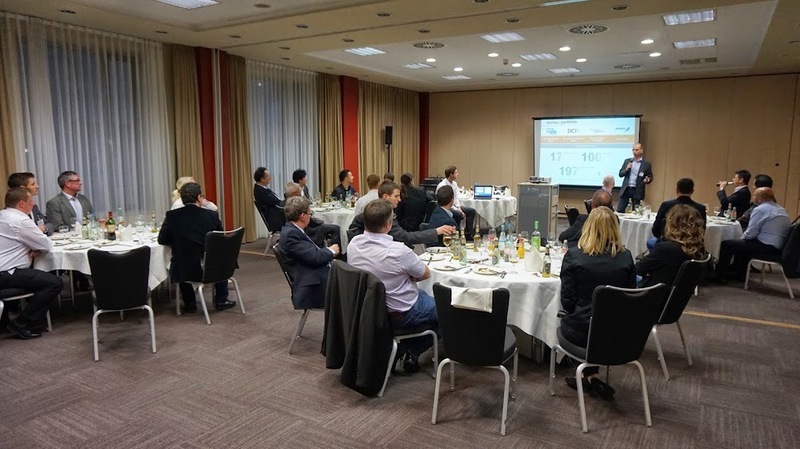 Our Partners in Czech, Estonia, Finland, Germany, Lithuania, Poland, Spain and Turkey had a very deep and interesting discussions together. Here are some of the pictures from the event. Asprova will be holding this year’s User Conference in Bellesalle Yaesu in Tokyo. 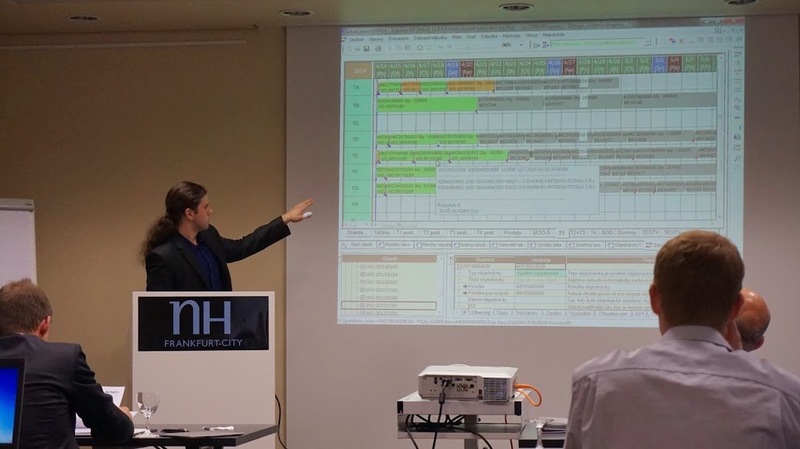 New features of Asprova will be introduced in addition to the case study presentations by customers from the Pharmaceuticals industry by Asprova’s sales partner Toyo Business Engineering Co., Ltd.
One of the Asprova’s strong points is that you can very easily make your own prototype of computerized production scheduler. In this Webinar we will teach you how to make your own prototype. We are first come first served policy, looking forward to hearing from you soon. “Planning with ASPROVA 2013”. Seminars in: Madrid, Barcelona, Bilbao. Free. Limited seats. 1. Introduction to the concept Supply Chain Planning in manufacturing companies with of ASPROVA. 2. Problems to solve in each attending Industry and its solution with ASPROVA 2013. Reference to Cases of success of all the sectors of the attending companies. Next seminars will be celebrated in the main cities of Latin America and also by internet. For more information on this seminar or to register, as well as the dates of the next seminars in other cities kindly send an email to claudiaperez@planning-group.co indicating company name, number of assistants, their full name, position, telephone and email. If you are interested with this information please share it to your company colleagues, and acquaintances of other manufacturing companies. Tokyo, Japan (Headquarters) – Following the initiatives of the ASEAN economic integration towards 2015, Kuniyoshi Takahashi, Chief Executive Officer of Asprova, the number one Production Scheduling and Supply Chain Planning Software provider in Japan with 52.4% market share, would be visiting several places with the purpose of helping Asian companies improve their knowledge on production and be more efficient. According to Asprova’s CEO Kuniyoshi Takahashi, he would be visiting more than a few companies to talk about production efficiency and how they could improve their current production operations and competitiveness. Also, Asprova is expanding to South East Asia and aims to enhance their reach in the global market, “we are now setting up a new office in Bangkok” Takahashi says.